You have all seen the headlines: Is the Annual Performance Review Dead? ; The Performance Appraisal is Driving Your Talent Away; Kill Your Performance Ratings. As iconic companies such as GE, Adobe, Google, Pfizer, Eli Lilly, Cargill, Accenture and others announce major overhauls in their sometimes decades old Performance Management (PM) Systems, it is clear that we are on the brink of a major disruptive transformation. According to a June 2015 PWC research report, two-thirds of large companies are considering revamping their appraisal process, with one in 20 looking to scrap formal evaluations entirely. But as the current institution of PM fades away, what's taking its place? Deloitte has been at the center of the debate. What do you do when you discover that over 2 million hours a year are spent on your current performance management system, but that the majority of that time is spent talking ABOUT your people rather than TO them? Further, you discover that the current process for evaluating your people, developing them and rewarding them is increasingly out of alignment with your business strategies and realities. 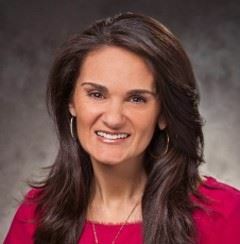 Erica Bank, Performance Management Leader at Deloitte, has been instrumental in creating and driving the implementation of Deloitte’s new approach to PM. We are fortunate to have Erica join us for a “Fireside Chat” with John Weidner, our newly-elected Chapter President. Together, they will explore how the need for change emerged, the internal research conducted to “make the case” for change, and the resulting design decisions and roll out of Deloitte’s evolving PM system. Erica L. Bank, Performance Management Leader, Leader Development & Performance, has devoted her career to designing and implementing Talent Management strategies, processes and technologies. She spent over a decade in Deloitte’s Human Capital Consulting practice, benefiting Deloitte's clients, before moving her focus to Deloitte’s people. As Deloitte’s Performance Management Leader, Erica provides strategic direction on the work to optimize the performance of Deloitte’s people and teams, and has been a key leader of the firm’s Performance Management Reinvention. Prior to her time at Deloitte, Erica worked as an internal business process consultant in the Financial Services industry. She holds a degree in Industrial Psychology from the University of Pennsylvania. Member $45 – Late Registration, after the Friday before event (midnight). Members In-Transition $35 - Late Registration, after the Friday before event (midnight). Non-member - $60 – Late Registration, after the Friday before event (midnight). To see our live webcast, copy and paste the link to view the event. Remember to SIGN IN in the upper right corner to view the event. Create an account if you do not have one by clicking SIGN IN.